For the first time ever, Pandaw will be offering an expedition running the length of Andaman archipelago. Until such an expedition into this sensitive no go area would have been unimaginable. Currently only the East coast of the Andaman Islands are open to us, but these are rich in scenic, ethnographic and marine interest. On the east coast though there are various ethnic groups including Indians and Karens who will provide a warm welcome to our intrepid explorers. There are numerous beaches and uninhabited islands with coral reefs and rich marine life. The forests on the main islands have not been logged and there is a terrific biodiversity of plant life and tropical forest. 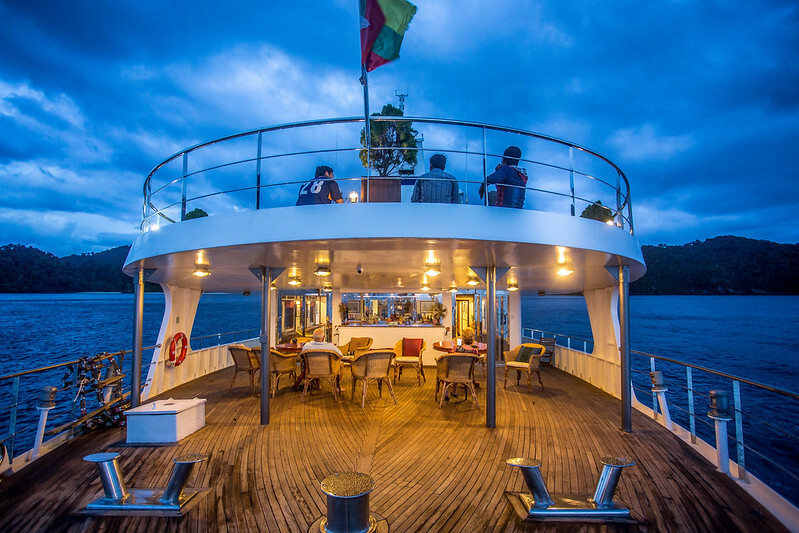 No vessel could be more suitable for this than the historic Andaman Explorer, built in 1963 as a Norwegian coast guard vessel and later converted into the plaything of an Italian plutocrat. 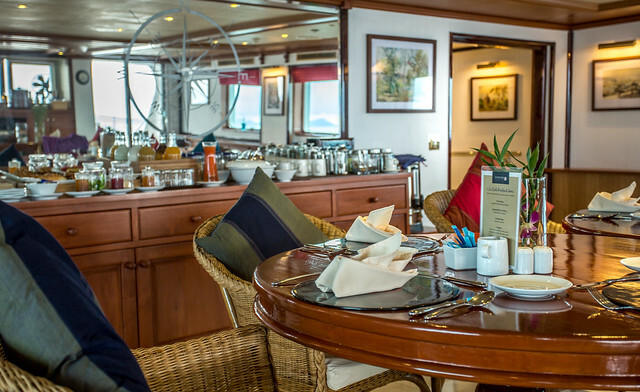 Lovingly refitted by Pandaw, with her twelve sumptuous staterooms, the Explorer is ready for longer deeper expedition cruising, going deeper into these remote regions than any vessel before. Flight Arrivals into Port Blair, population 100,000 and capital of the Andamans, and transfer to ship. Go ashore to explore the colonial heritage architecture and see the iconic cellular jail. We travel inland to visit unspoiled forest areas with concentrations of epiphytic vegetation, being ferns and orchids. Named after Sir Henry Havelock and the Lawrence brothers, great pillars of the Victorian Raj, with great beaches for swimming and coral reefs for snorkelling. The crescent shaped Radhanger beach is great for a long walk and elephants can be encountered. Cruise through the archipelago to reach the Northern Andaman Island; visit villages and local communities and see folk dancing and local workshops. This is the centre of the Karen population of over 3,000 people, brought over from Burma by the British in the 1920s and left behind after independence. Visit the market, church and a flourishing Karen cultural life. Virgin beaches, coral and walks ashore. Second call for port formalities and further explorations of Port Blair and area. Transfer to airport for onward flights to Delhi, Madras or Kolkotta. Generously proportioned suites with separate sitting room area, private bathrooms, kimonos and slippers, spa-branded amenities, unlimited mineral water, electric mini safe, imported quality linens with duvet and two kind of pillows, premium mattresses, convertible bed configuration, welcome flower arrangement and welcome gift, mirror, multi-configuration plugs, generous closet space and under-bed storage, hair dryer, daily nightly turndown service, 24hr laundry service, yoga mats in all cabins. The Andaman Explorer was built as the MV Atlantic Guard in 1963 in Norway as a Norwegian coast guard vessel. She is 61 meters long with her original Rolls Royce engines. The hull is built to 'ice class' with extra thick plates and she has the power to withstand north Atlantic storms or chases out to sea. Very handy when cruising in tropical waters! She retired from coast guard duties in 1998 and was acquired by one Doctor Bogazzi, an Italian oligarch whose family owns the Carrara marble quarries. 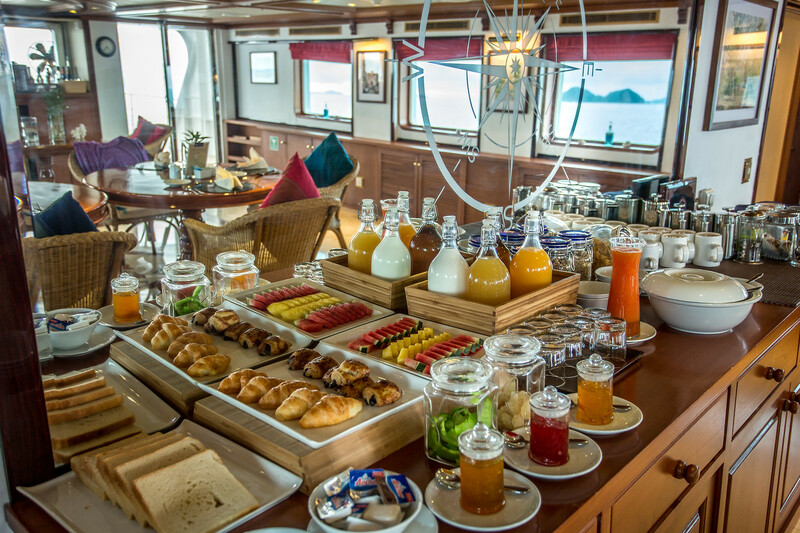 Dr Bogazzi lavished many a million on the ship, now renamed the MY Marina, completely refitting her with eleven very generous suites. 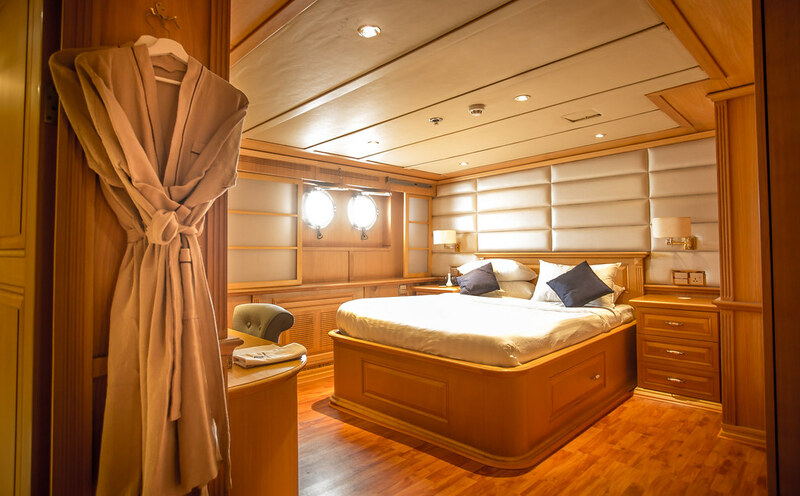 Much of the ship is floored with Carrara marble, pleasantly cool under foot for those who go unshod. 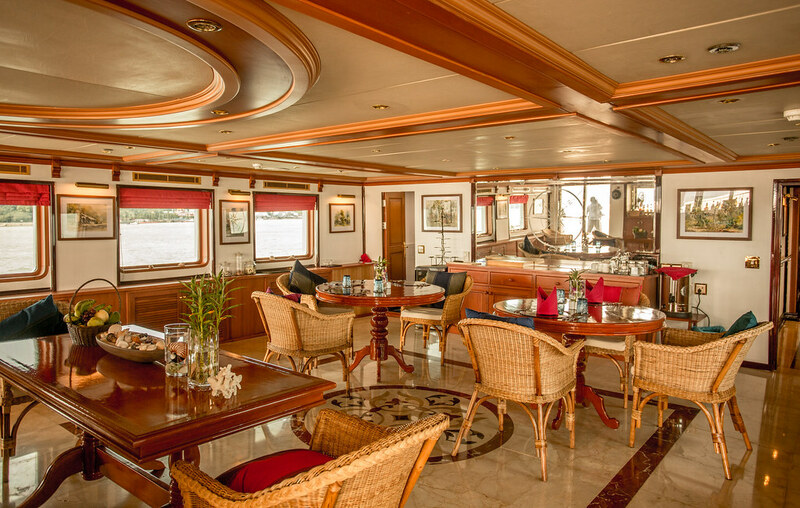 In recent times she has belonged to a powerful shipping family based in Dubai who maintained the ship to a very high standard. She has now arrived in Thailand and under going redecoration in the Pandaw Style so the photos of the interiors we show here are as she is now and not as she will be when we have finished with her. The Andaman Explorer really is a sixties classic. The sort of plaything associated with Onassis, Jackie Kennedy and more glamorous times. There could be no vessel more appropriate for the exploration of South-East Asia's unknown coasts.